Again, for the second week in a row, Nashville is killing it with the weather….AH. I couldn’t be happier. 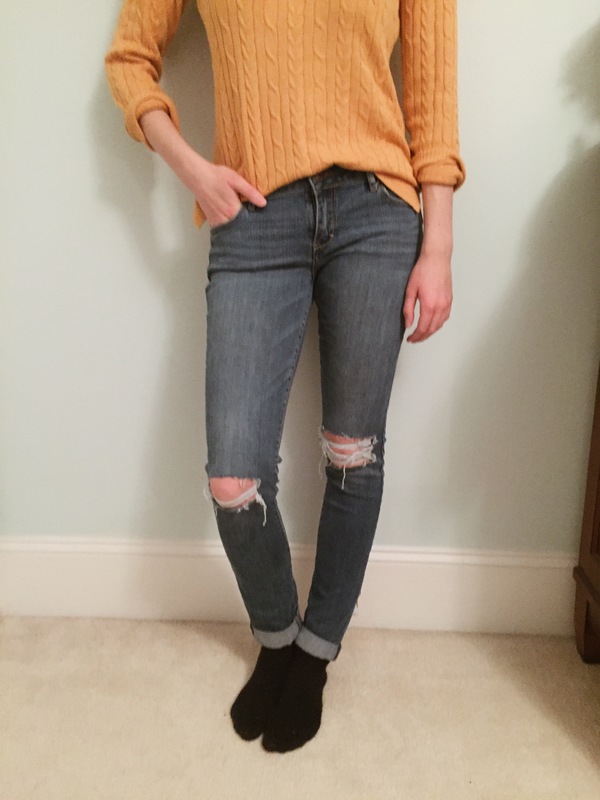 Speaking of the perfect weather, because it’s been so fallish, I finally have the chance to break out these bad boys this weekend…these bad boys being my new pair of at-home distressed jeans! As y’all probably know, distressed jeans are much more expensive to buy in the store than just a normal pair of jeans….which is silly to me because 1. you’re paying for less jean and 2. distressing them yourself, although time consuming, is way easier than I think people realize. 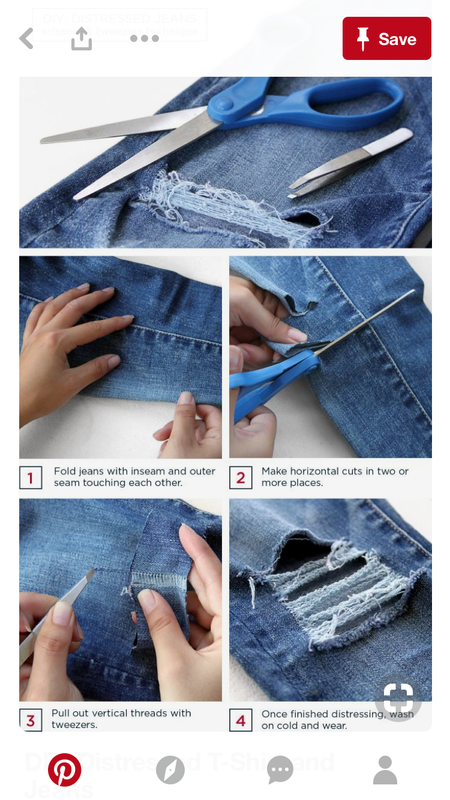 With that, I thought it might be fun to show you what I use to distress my jeans & how you can, too….and then also what the final product looks like, if you decide to do it! Be prepared because this is what your work space will end up looking like! I have to tell y’all, I was a little unsure how this project would turn out, but I actually LOVE the final product. 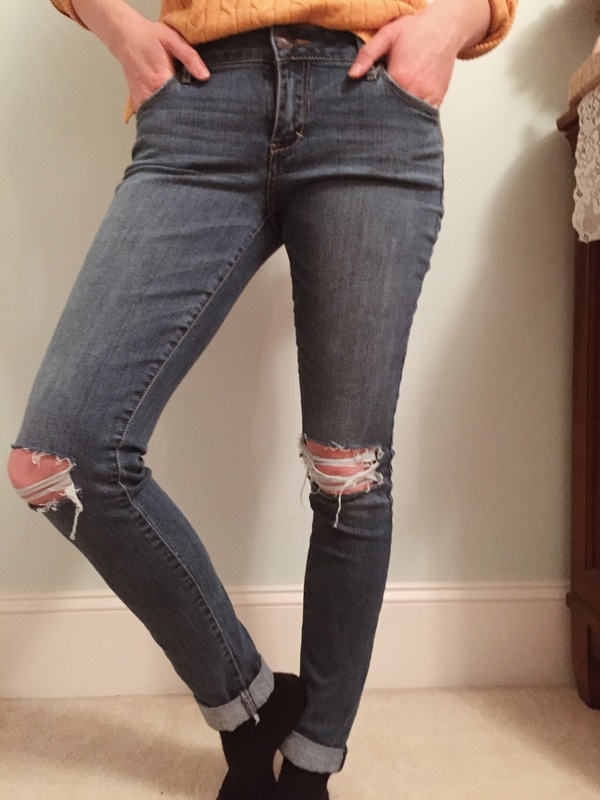 And now, these are what the jeans look like on! The lighting was really funky this day….so I apologize for that, but I assure you, they are the same jean! Love the way these turned out! I am going to make a vow to you all starting right now, to never buy another pair of already distressed jeans again (feel free to hold me accountable for this statement) because I now know I have the capability to do it myself…all you really need is some time and some patience. Plus, I’m the kinda gal that if I can DIY anything, I am going to do it haha. So this is the perfect place to save a little money and get to be a little creative every now and then, when I am wanting to upcycle an old pair of jeans! Would any of you be willing to distress your own jeans? !